I love this kind of history... The great value of the books is that they help us to remember, to see more clearly, and hopefully to preserve the many ways in which Britain is a country shaped by sport. Britain’s only listed skatepark, the Rom Park in Hornchurch, Essex (featured in Played in London) is to celebrate its 40th anniversary thanks to a grant from the Heritage Lottery Fund. A series of events including a lecture, workshop, film and exhibition will take place at the park and at Havering Museum, starting in July. Conceived by artists Alan Ward and Neville Gabie, a granite sculpture listing the 1848 rules of football in seven languages has been unveiled at Parker’s Piece in Cambridge – to a mixed response – while versions of the stonework will also be sent to five other countries as part of an initiative to celebrate the huge diversity of public spaces where the game is played worldwide. It is not often that Played in Britain hears of a bowling green coming back to life, so it is wonderful to note the restoration of the green at The Magpie Inn in Carlisle, designed by Harry Redfern in 1933 for the Carlisle State Managements Scheme and featured in Hugh Hornby's book Bowled Over. 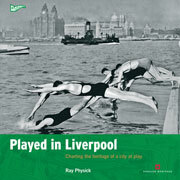 As part of Historic England's campaign to celebrate A History of England in 100 Places, Baroness Tanni Grey-Thompson has chosen her top ten places for sport and leisure and can be heard discussing it with Played in Britain author Martin Polley in a new podcast. To mark the recognition of Moseley Road Baths in Birmingham by the World Monuments Fund, Played in Britain series editor Simon Inglis will deliver the annual Mellon Lecture on Thursday, February 1 at the Art Workers Guild in London. Tickets cost £10.00. Opened specifically for women in 1903 (although the date stone states 1902), and virtually derelict since 1974, Reading's former King's Meadow Open Air Baths has now re-opened as the Thames Lido, under the same ownership as the hugely successful Bristol Lido in Clifton. It represents a remarkable turnaround for a building that was listed Grade II in 2004 and which had been the subject of campaigning for decades. Full of warm nostalgia, but in a serious meaty way, absorbing detail and fascinating social history… the usual Played in Britain trick (is) luring you into their world and making you care as much as they do about something to which you’d barely given a thought before. And… the quality of the photography is superb. For me, this series of books is invaluable. Previous lack of attention by sports historians to the built environment and the way this reflected or impacted on sport is now being redressed. Long may this excellent work continue. I love your books... keep this wonderful stuff coming. Hugely impressive and immensely important, Played in Britain (is) rapidly becoming the guardian of the nation's sporting heritage. A marvellous series - how did we ever do without it? 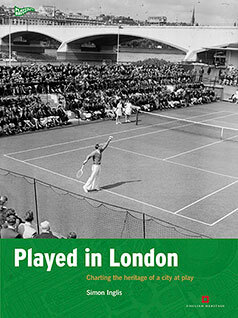 Played in Britain has a reputation for thoroughness and insight... editor Simon Inglis deserves credit for the clarity of his vision. 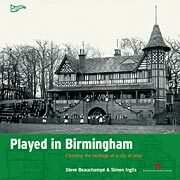 Buy Played in Britain books from this site. Click 'buy now' links to add books to your basket. Signed copies are sent where possible. UK orders are post-free. 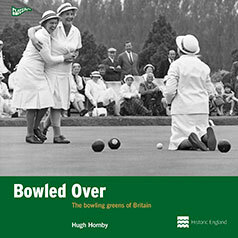 Order your copy of Bowled Over – the bowling greens of Britain, post-free to UK customers. Out now: Hugh Hornby lists the coming year's fixtures (2018–2019) for Uppies and Downies nationwide! 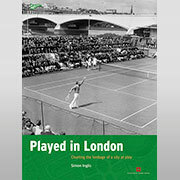 Order your copy of Played in London, charting the heritage of people at play, post-free to UK customers. 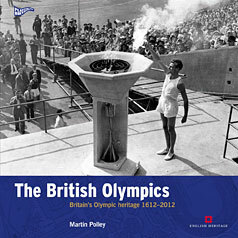 Order your copy of The British Olympics, Britain’s Olympic heritage 1612-2012, post-free to UK customers. 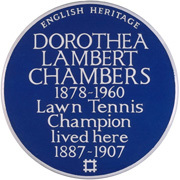 View our gallery of existing sporting plaques and find out how to put forward your own nominations. "In order to form a just estimation of the character of any particular people, it is absolutely necessary to investigate the sports and pastimes most generally prevalent among them."